Kalama Area Rug - 9'X13', Avocado. Kalama Area Rug - Accent Your Living Space With Our Colorful wool Area Rug - The Kalama Area Rug Takes A Classic Look And Infuses Color And Contemporary Touches To Create A Beautiful Accent Piece For Your Home. The Damask-Inspired Design Adds Elegance To Your Space While The Vibrant Avocado Base Beautifully Contrasts The Blue Viscose Threads Throughout. Hand-Tufted With 100% New Zealand Wool. Durable And Built To Withstand Wear And Tear. Tanzania Rug 94 X 134. Cape Cod Area Rug Ii - 7'6X9'6" Oval, Multi. Cape Cod Area Rug Ii - - From The Chelsea Collection, Our Cape Cod Area Rug Features An Intricately Detailed Depiction Of Sailboats And Lighthouses Over A Backdrop Of Different Hues Of Blue. Fine Petit-Point Hooking Enhances The Beautiful Colors Of This 100% Wool Floor Covering, Highlighting Its Detailed Patterns. 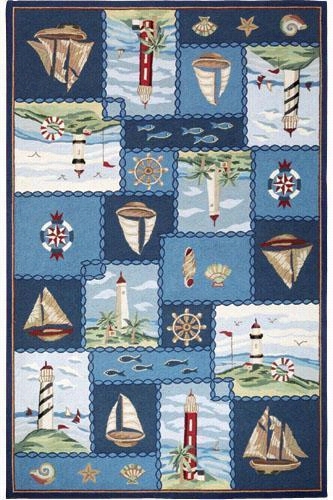 This Hooked Rug Is Ideal For Adding Nautical Style To Your Bedroom Or Study. 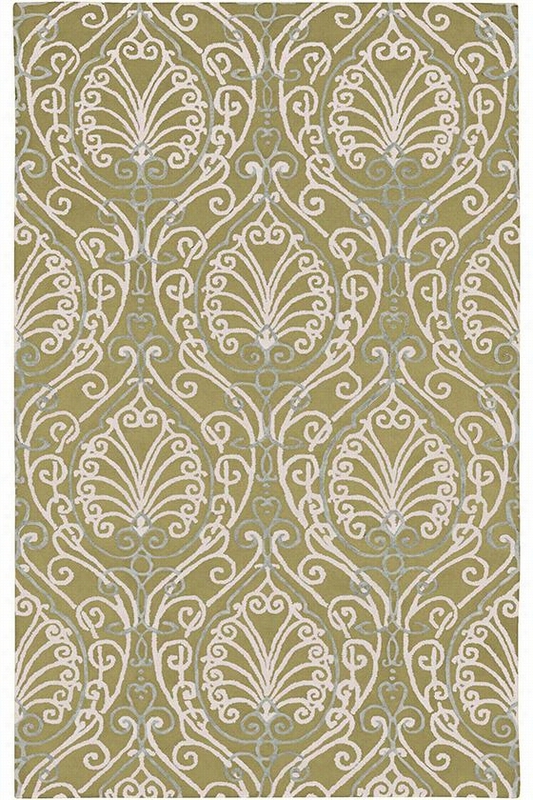 You Are Sure To Love The Rich, Inviting Colors And Precision Of This Rug's Crisp, Versatile Design. And With Our Outstanding Selection Of Rectangular, Oval And Round Rugs, Plus Carpet Runners, You Are Sure To Find The Right Size And Shape Rug To Suit Any Living Space. 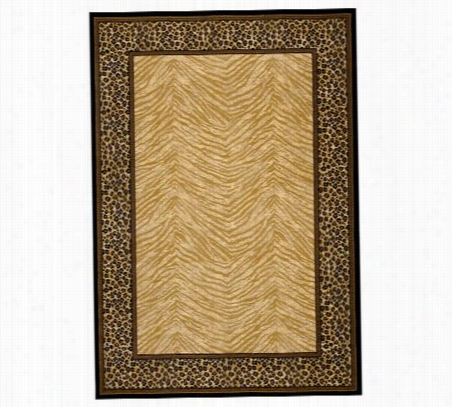 Choose One Of These Unique Area Rugs Today To Add Casual Style And Unique Texture To Any Room. 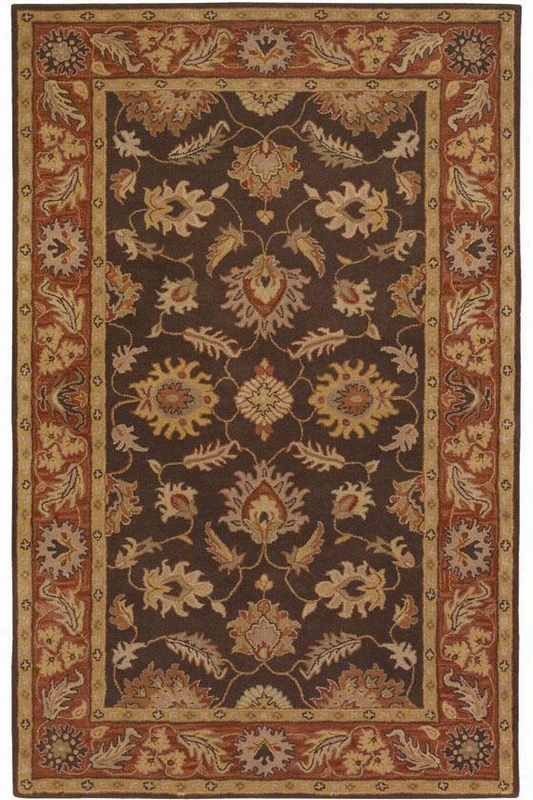 Couristan Pazyrk Design Area Rug - 9'10"X13'9", Brown. Pazyrk Design Area Rug - Add The Finishing Touch To Your Decor With Elegant Wool Rugs - For The Best Of The Past And Present, Our Hamadan Collection Of Rugs Has The Perfect Finish For Your Traditional Or Transitional Decor. A Stunning Replica Of The World's Oldest Known Knotted Area Rug, This Bold Design Dates Back To The Persian Empire. The Center Motif Is Surrounded By Multiple Borders, Styled After Ancient Sculptures In The City Of Persepolis. 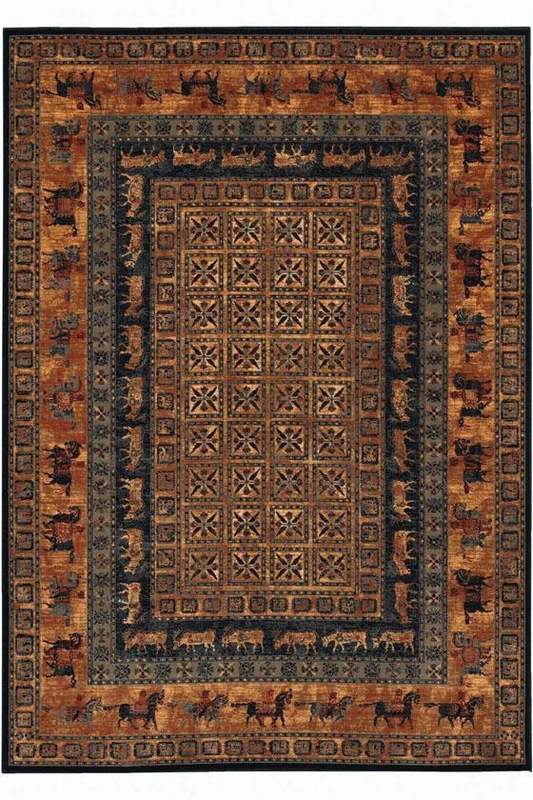 Nomadic Icons Of Elk And Horsemen Surround The Center Field.Power-Loomed Of 100% Semi-Worsted New Zealand Wool.Features An Exclusive Locked-In-Weave And Crystal-Point Finish For Superior Definition.Rich Color Palette In Rustic Hues. 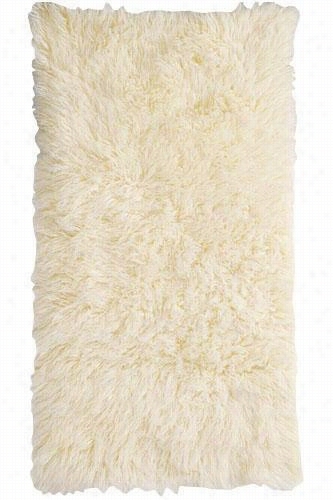 Premium Flokati Area Rug - 9'X12', White. Premium Flokati Area Rug - Experience Luxurious Flokati Wool Rugs From Greece - Created Using A Centuries-Old Process, 100% New Zealand Wool Is Hand Crafted To Create Flokati Area Rugs. Their Unique, Fluffy Softness Comes From Washing Them In Waterfalls Of The Pindus Mountains. You'll Enjoy The Durable Nature And The Easy Care Of Your Flokati Rug. Order Your Contemporary Rug Today.Wool Is Hand Cut And Hand Woven For The Highest Quality.Soil-Resistant And Hand Washable In Cold Water.1550 Grams Of New Zealand Drysdale Wool Pile Weight Per M2.Brushing With A Wire Brush Retains Their Soft And Fluffy Texture. Pisa Area Rug Ii - 8'X11', Winter White. Pisa Area Rug Ii - This Upscale Wool Area Rug Is A Modern Choice For Your Contemporary Living Space - The Pisa Area Rug From The Montaigne Collection Fuses Several Unique Design Elements To Create A Distinctive Area Rug. Expertly Crafted With 100% Wool, The Slatter-Like Accents And Subtle Neutral Tones Come Together Effortlessly. Hand-Tufted With 100% New Zealand Wool. Available In A Variety Of Color Combinations. 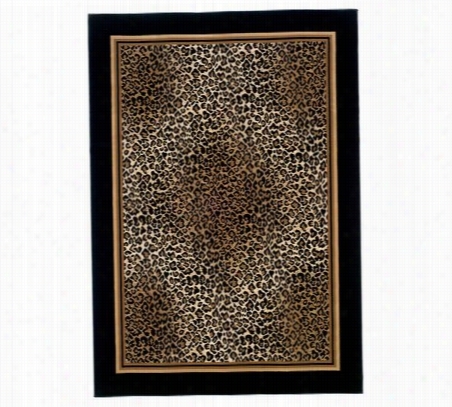 Leopard Rug 94 X 134. Davenport Area Rug Ii - 9'X13', White. 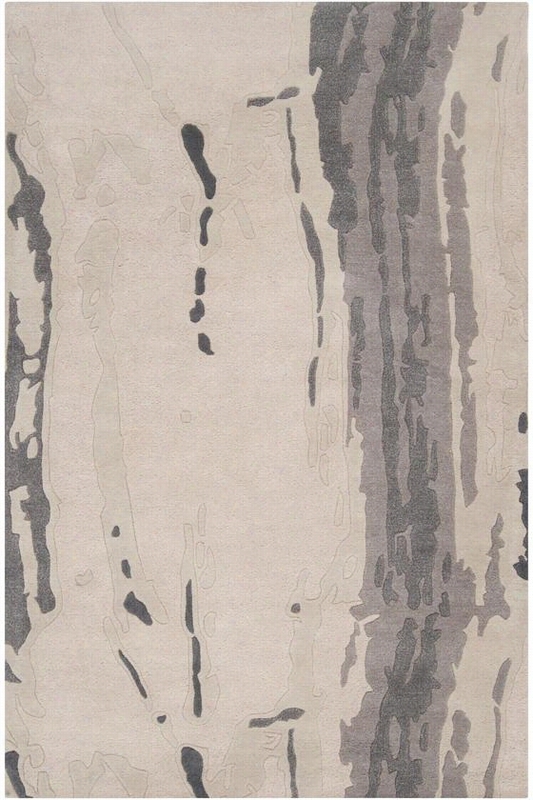 Davenport Area Rug Ii - Complete Your Living Space With This Minimalist Area Rug - The Davenport Area Rug From The Metropolitan Collection Takes The Art Of Simplicity To The Next Level. 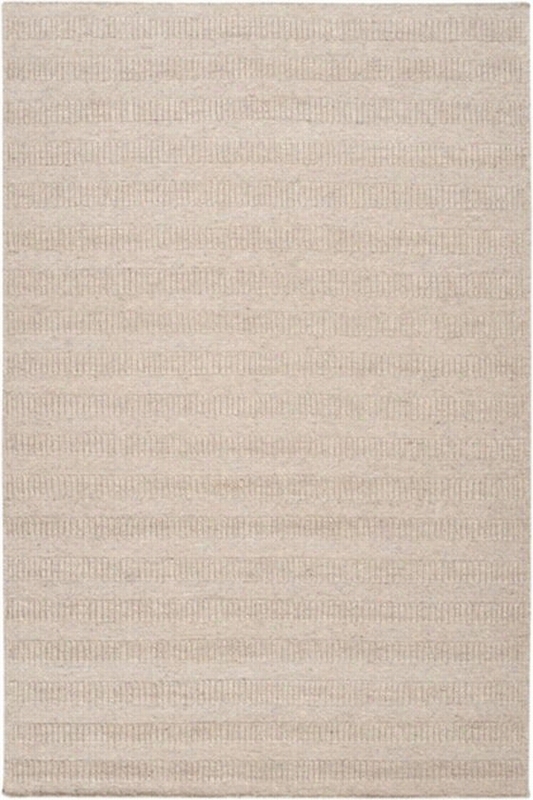 With A Simple Yet Sophisticated Design, This Rug Offers Dimension And Durability. Loomed With 100% wool. Plush High/Low Pile Adds Depth And Texture. Available In A Variety Of Sizes And Colors. Tristan Area Rug - 9'9" Round, Chocolate Brown. Tristan Area Rug - Enjoy The Elegant Detailing Of A Traditional Wool Rug - The Tristan Area Rug, From Our Classic Collection Is A Traditional Rug That Is Hand Tufted Of Fine 100% Wool. 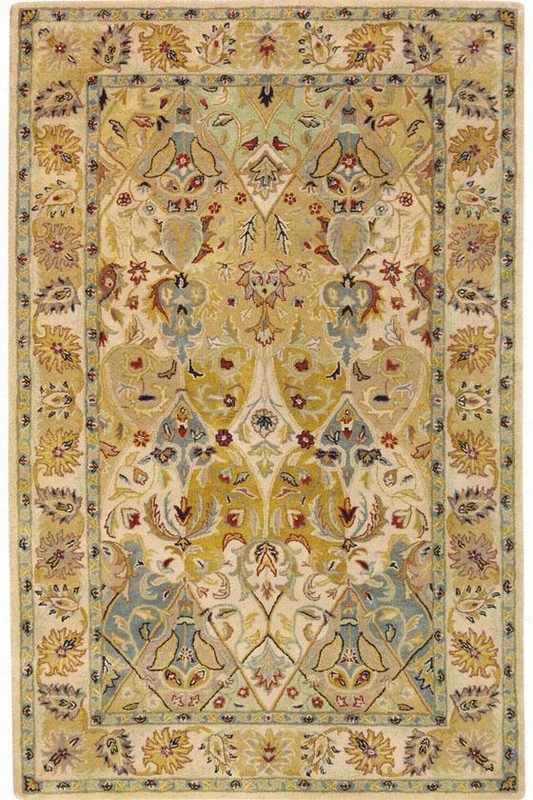 The Floral Design Of This Rug Is Accented By A Complimentary Floral Border. Each Rug Is Herbal Washed For A Rich And Lustrous Sheen. Fine 100% Wool Is Extremely Durable. Features A Diverse Color Palette And A Detailed Design. Hand-Tufted For A Smooth Texture. Rhodes Area Rug - 7'9" Round, Ivory. Rhodes Area Rug - Hand Tufted Wool Rugs At Affordable Prices - Our Rhodes Rug, From The Empire Collection, Is A Sophisticated, Traditional Rug And Features Up To 40 Colors. This Elegant Wool Rug Is Hand Tufted Of Finely Textured 100% Wool And Displays An Exceptionally Detailed Design In Vibrant, Warm Colors. But This Rug Is Not Just Beautiful, It Is Affordable, Too, And Offered At A Price Far Less Than What You Would Expect To Pay. The Warm Tones Of This Area Rug Go Well With Most Decorating Schemes, And The Intricate Design And Delicate Border Make A Perfect Accent To Any Room. Traditional Bordered Rug. Hand Tufted.